Round tables and Snake benches combine wonderfully. and joined to one another with Acctable's unique joining system. Acctables in the LG Smart Garden at the Chelsea Flowershow 2016. 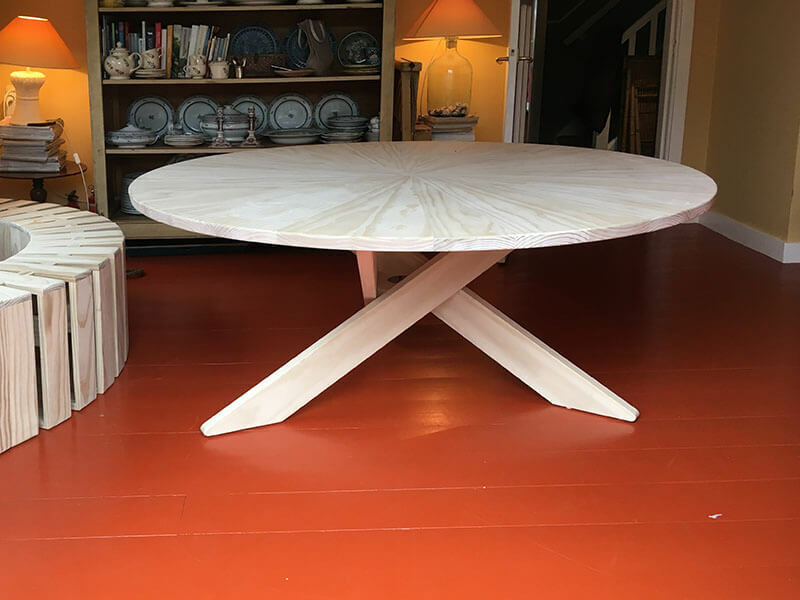 A three meter long table, a round coffee table and four stools on display in London, all made from Accoya. 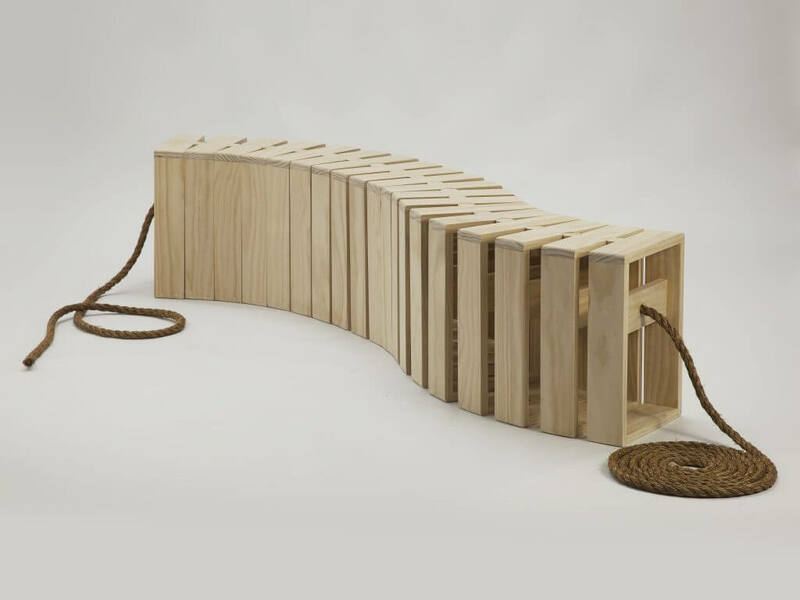 Acctable's iconic design: 18 elements strung together with a rope. Children love it. Accoya® wood is suitable for landscaping and outdoor furniture, even in ground contact. 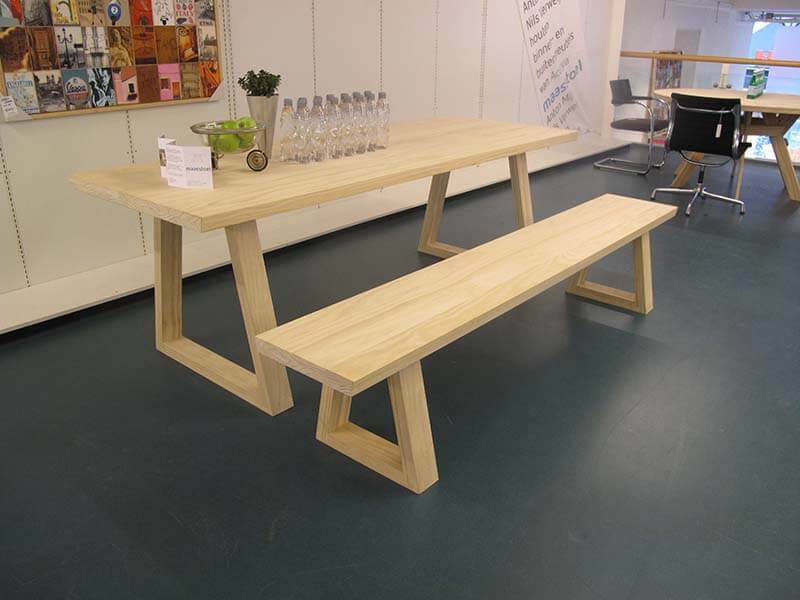 Custom made tables and benches by Anton Mijs, Marcel Vroon, Nils Verweij. from Accoya wood. Accoya® has properties that exceed the best tropical hardwoods or treated woods. It is the only truly sustainable wood and adds warmth to Acctable’s designs.